Hillel holds High Holiday services on the first day of Rosh HaShanah and on Yom Kippur at the Norman M. Fain Hillel Center at 6 Fraternity Circle. Services are open to students and to the general public. No tickets are required, however, non-students are asked to make a meaningful donation to Hillel. Services are led by Executive Director, Amy Olson, who is a trained cantorial soloist. 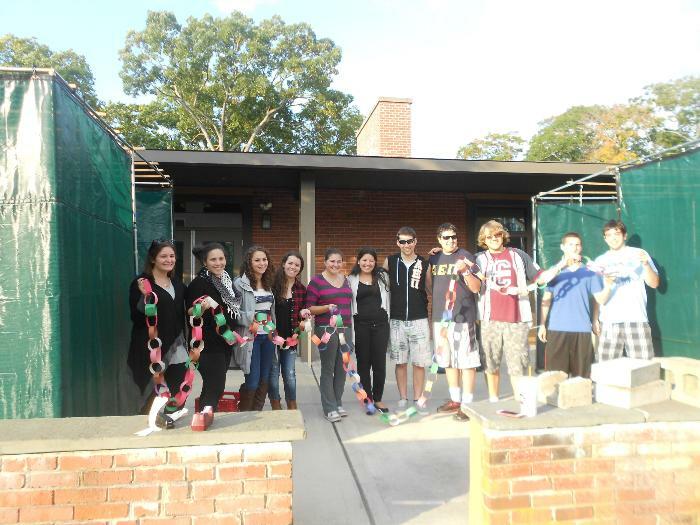 Hillel builds and decorates its own Sukkah which is available for all to enjoy and use throughout the holiday. Hillel also has a lulav and etrog on hand during the holiday. 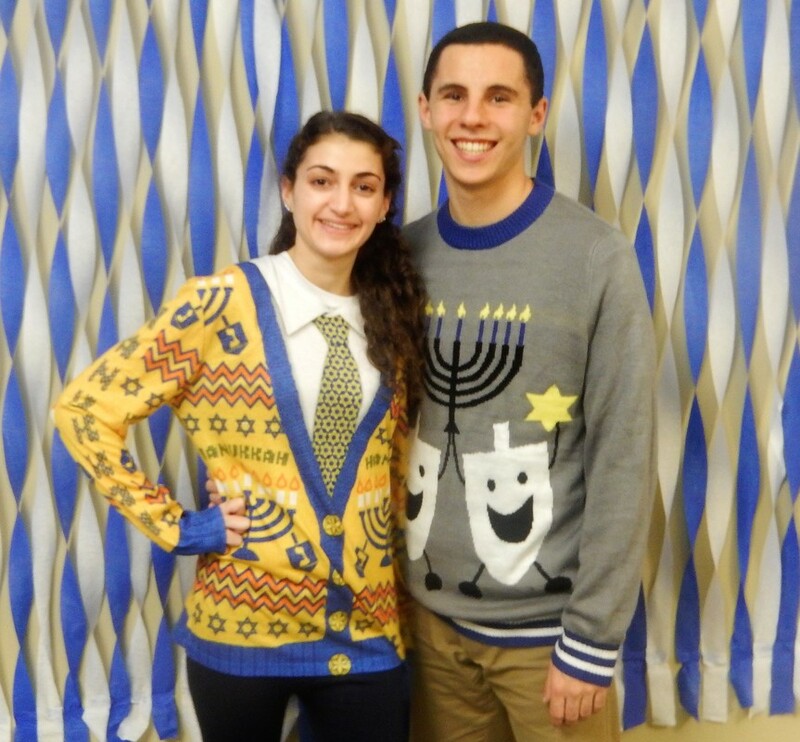 Hillel hosts a variety of Hanukkah activities which will be updated on the Calendar of Events. Hillel is known for its amazing latkes! Candles and hanukkiot (menorahs) are also available at Hillel. Purim is celebrated on the evening of March 20 and on the day of March 21. Passover takes place April 19-27. Hillel will host a First Seder on Friday, April 19 and will help to make arrangements for students to host their own second seders or enjoy a second seder with a local family. Please contact Amy for more information. Kosher for Passover lunch items will be available at Hillel M-F and box dinners may be ordered with advance reservation. URI Hillel holds a number of annual events to commemorate the Holocaust. 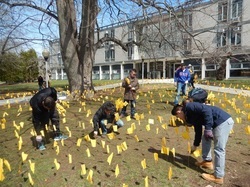 Hillel plants a Field of Flags on campus, as well as hosting speakers, showing films and sponsoring other events. This spring Hillel will plant the Field of Flags on Sunday, March 31 at 1:30 pm and will hold a Vigil on Thursday, April 4 at 12:30 pm in from of the Multicultural Student Services Center.